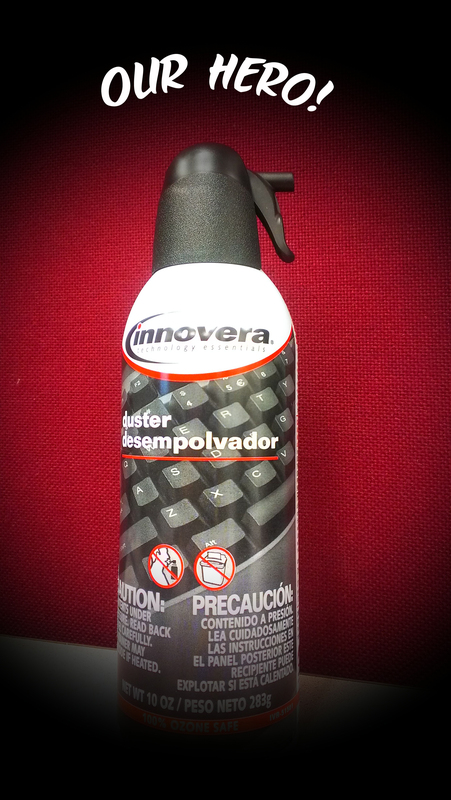 Canned air has become an office staple for cleaning your keyboard, dusting your CPU tower, and blowing all the dust bunnies off your desk. You’d be hard-pressed to find an IT department that doesn’t have a case or two lying around, and if they tell you they don’t have any then they’re lying to you. They just don’t want to give up the goods. I was spraying down my keyboard the other day (bagel Friday-don’t judge) and I thought about what other jobs canned air is used for. I use it at home to clean blinds, fans, and spray off the top of my kitchen cabinets and a co-worker uses them to dust her silk plants, but what else are they good for? A quick internet search came up with a plethora of ideas, from the brilliant to the hilarious. Blow dust off of delicate models such as cars, boats, and doll houses. Have you ever tried to Pledge a miniature china hutch? If you cut hair for a living, it works to blow hair off your clients neck better than a hairdryer. Just don’t give them freezer burn. Blowing spiders out of the side-view mirrors on your car. The little suckers always seem to hide in there. 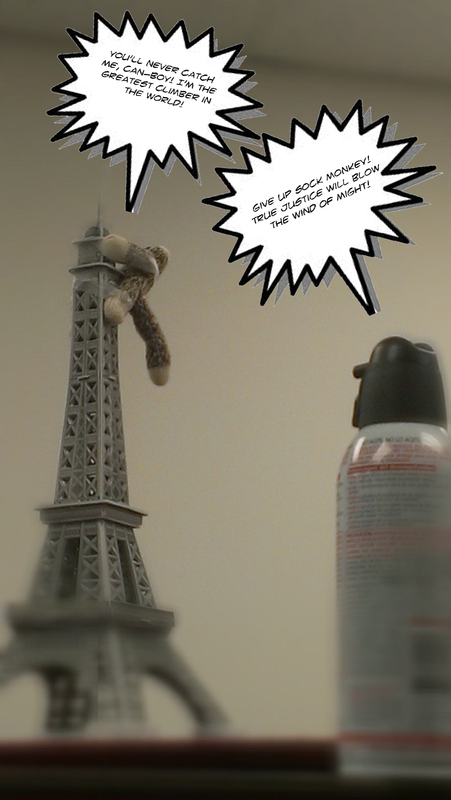 Airing out your cubicle during a…methane…leak. Yeah. You know how your cat tends to sit on the keyboard when you’re trying to work? One quick burst is painless. Scary, but painless.